As the decades rolled on through the 40's, 50's, ,60's and 70's, The Brookside hosted apartments, various stores and businesses, a dental office, a dress factory, a foundry, and manufacturing companies. 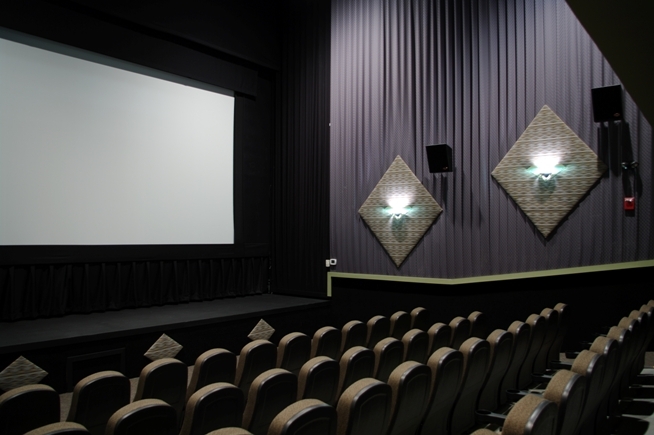 The movie theater was renamed the "Mayfair", then the "Brookside", and eventually the "Magic Lantern". 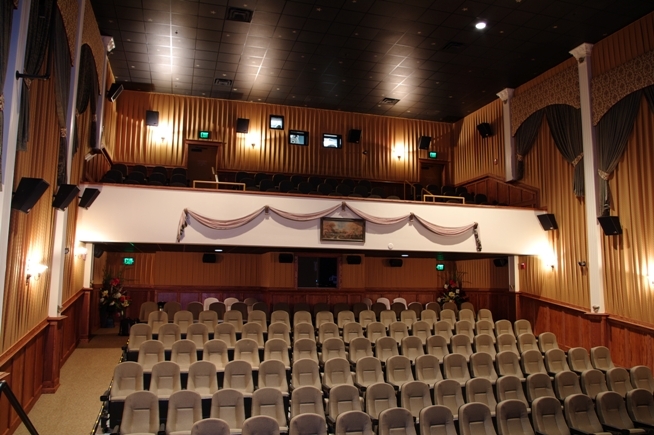 The theater's 300 seat auditorium with a performing stage was always a vital part of the town. 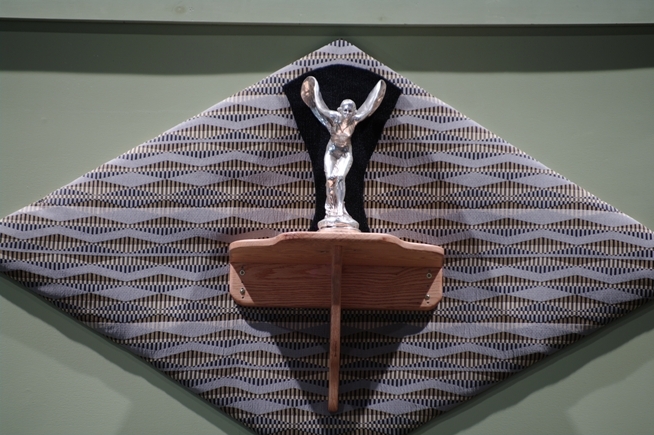 Even as late as the 1970's when television had co-opted much of Bridgton's evening time, The Magic Lantern's performance stage thundered under the feet of mid-night Rocky Horror Picture Show revelers. 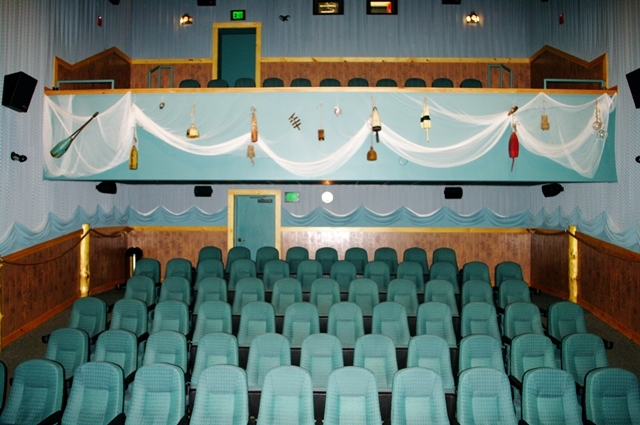 In 1990, theater's auditorium was split into two theaters and the performance stage was removed, the stage a victim of changing Hollywood business practices. The Magic Lantern over the years has always found ways to be creative. Tom Goodman, the Young Bearded Entrepreneur (YBE) and the proprietor of The Lantern was the first in Maine to install Dolby surround-sound, much to the joy of Star Wars fanatics. Stephen King's The Shining premiered there in 1980, with Mr. King attending, as a benefit for the local hospital. The Manchurian Candidate also premiered in 2004 at The Lantern with its director Jonathan Demme seeing the final product of his efforts for the first time. On Sunday, October 2nd, 2005, the last films were shown in the Brookside Building. Just Like Heaven, The Forty Year Old Virgin, and The Chipmunk Adventure closed out seventy-six years of entertainment. The house was packed and the fond memories flowed. The Brookside Building's cement block structure could no longer manage the shifting ground underneath. Starting with pasture and wetlands, and then for 170 years the piling hemlock bark, boards, and anything else available on the site proved not to be a good way to build. 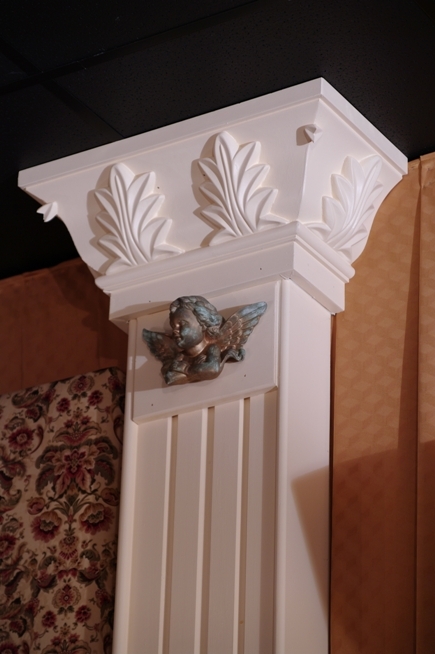 During its last years, The Brookside Building's walls sagged and floors buckled, eventually sealing the fate of one of Bridgton's icons. On February 7th, 2006, the heavy equipment moved in and The Brookside Building was no more. 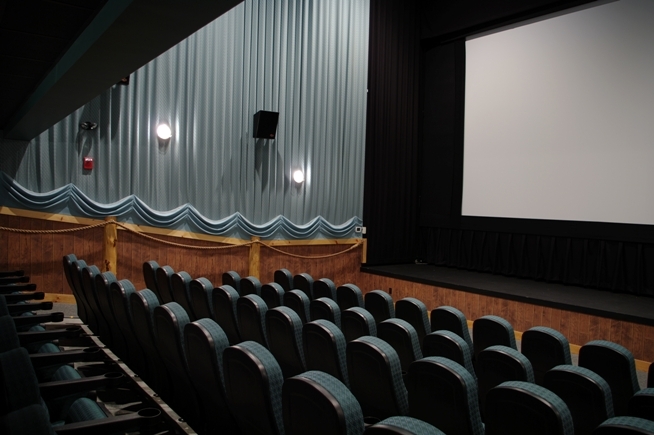 A Town Meeting was held on December 13th, 2005 to consider offering special tax incentive status to the owners of the Magic Lantern. The turnout was overwhelming with more than 100 voters speaking, unanimously, to pass a Tax Increment District designation for the site. Inspired by the passions shared at the meeting and filled with resolve, the Magic Lantern's team committed to rebuild The Lantern with some of the same, and much more of the new.The site on the glacial moraine, next to Steven's Brook, by Tannery Bridge, continues its cycle of building, razing, and building again. Always the vital center of Bridgton, changing as the world changes around it, the cycle continues. 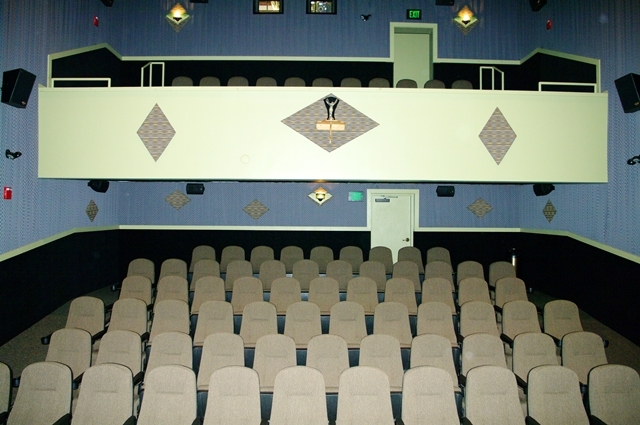 The Meserve Theater celebrates the period in which the theater was first opened with an Art Deco design in the '20's & '30's. 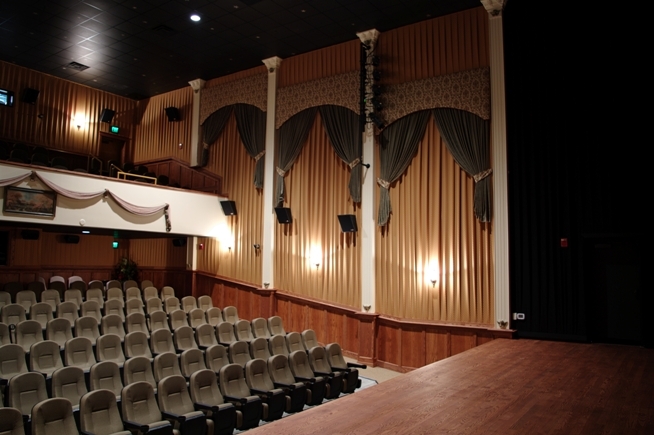 Adorned in the style of the movie palaces of the 1900's, the Mayfair is the largest auditorium in the Magic Lantern Theater with a seating capacity of 170 people. 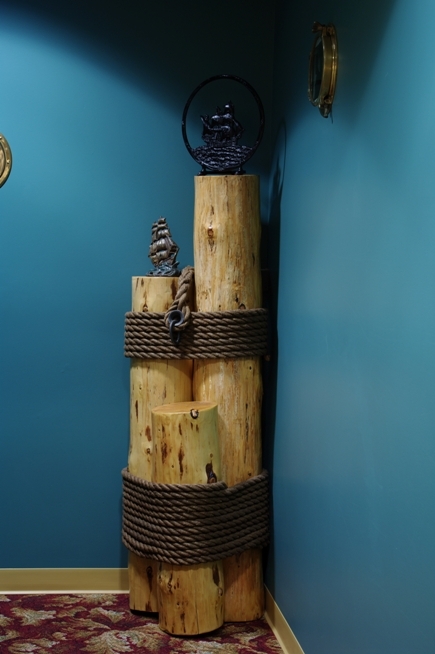 The Brookside features a nautical theme with dock posts, nets, rope and other flavors of Maine's seacoast that we all love! What Is a Magic Lantern? "A Magic Lantern is an early form of optical projector of still pictures using a transparent slide." About 1808, the first useful bridge was built on the site on Steven's Brook when most of the area was pasture and wetland. At this time there was no road eastward to Pondicherry Square; that was to follow in 1822. The "Tannery Bridge" as it is still known as today, was probably built in 1836. This coincides with the construction of the first tannery in Bridgton by Rufus Gibbs on the glacial moraine at the edge of the brook . Rufus understood the importance of quality tanned hides to the growing population. The tannery passed through several hands, eventually thriving while under the ownership of Horace Billings, Rufus' brother-in-law. The tannery burned on December 27th, 1855, to be rebuilt within eight months; certainly this is an indication of the need for its products. Records dated January 7th, 1859 show that 8,000 to 10,000 hides were being tanned annually, using six to eight hundred cords of hemlock bark, while employing an average of twenty-five men. During this period, operations on the site spanned the entire area between Stevens and Corn Shop brooks; Depot Street, as we know it, was added when the railroad was built in 1882. Another account dated December 9th, 1868 described the tannery as "one of the oldest and best established manufactories in the region". The tannery burned again in 1893 and was rebuilt, again, two years later, employing as many as fifty men during the peak season. Eventually, the tanning business succumbed to the changing economics of the 1920's and sat idle from 1926 through 1928. 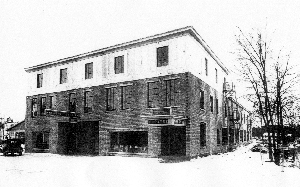 Claude Meserve bought the tannery in 1929, demolished the front section of the principal building, retained its wooden rear section and attached a multi-storey cement block building to it. The new structure, "The Brookside Building" fronted directly on Main Street, adjacent to Tannery Bridge. A reflection of the changing times, the primary purpose of the Brookside was to house a car dealership, with car storage space on the first floor and, yes, a movie theater on the second floor. The Meserve Theater opened on Wednesday June 5th, 1929 with On Trial starring Pauline Frederick, Bert Lytell, and Lois Wilson. Though the film is now lost and not much is now known about it, an advertisement in the Bridgton News tells us that "if you like a good clean mystery story you will be sorry if you miss this one". Admission was 15 & 35 cents.